Zenna Henderson – The Future is Female! Zenna Henderson (November 1, 1917–May 11, 1983) was born Zena Chlarson in Tucson, Arizona (she began spelling her name “Zenna” in the early 1950s), the second of five children; her mother Emily Vernell (Rowley) Chlarson, a housekeeper for a private family, had emigrated from Mexico in 1912 after the destruction of Colonia Díaz, a Mormon settlement, and her father, Louis Rudolph Chlarson, worked as a chauffeur, railroad carpenter, and dairyman. A graduate of Phoenix Union High School and Arizona State Teachers’ College, Henderson had a lifelong career as a teacher, mostly of elementary school children in the Tucson area, but also at the Gila River Relocation Center, an internment camp for Japanese Americans (1942–43), on a U.S. military base in France (1956–58), and at Seaside Children’s Hospital in Waterford, Connecticut (1958–59). 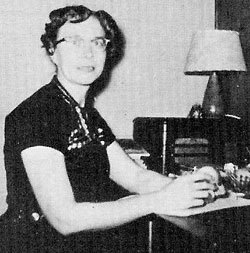 She married Richard H. Henderson, a miner, in 1944, divorcing in 1951 and subsequently completing her master’s degree at Arizona State. 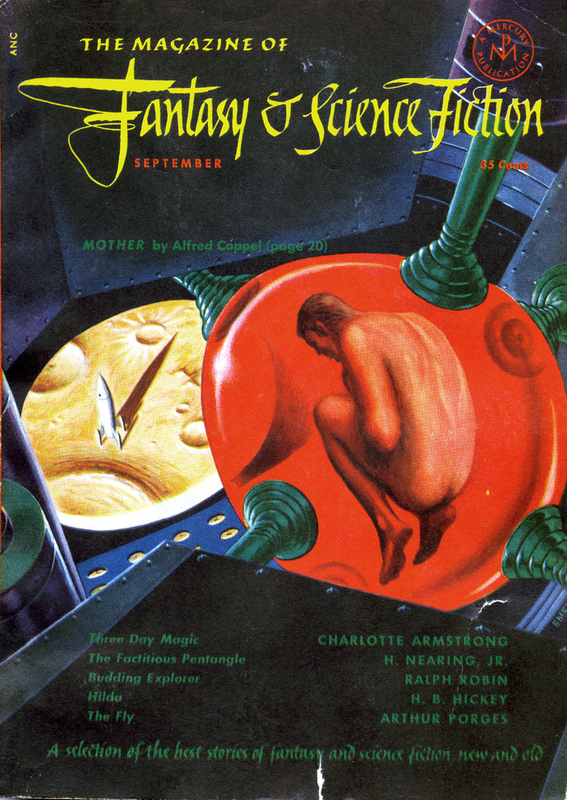 Henderson published her first science fiction story, “Come On, Wagon!,” in the Magazine of Fantasy and Science Fiction in December 1951 and was quickly singled out for praise by Sam Merwyn in an essay celebrating what was then seen as a new boom of women science fiction writers. In 1959, her long story “Captivity” received a Hugo nomination. She is most widely remembered for “The People,” a series of stories first published between 1952 and 1980 about a group of humanoid aliens stranded on Earth who represent our better selves. Along with Pilgrimage: The Book of the People (1961) and The People: No Different Flesh (1966), Henderson’s short fiction is collected in The Anything Box (1965) and Holding Wonder (1971). The People, a made-for-TV movie based on her series of the same name and starring Kim Darby and William Shatner, was released in 1972. Ingathering: The Complete People Stories (1995), including previously uncollected material, was published after Henderson’s death in Tucson at the age of sixty-five.